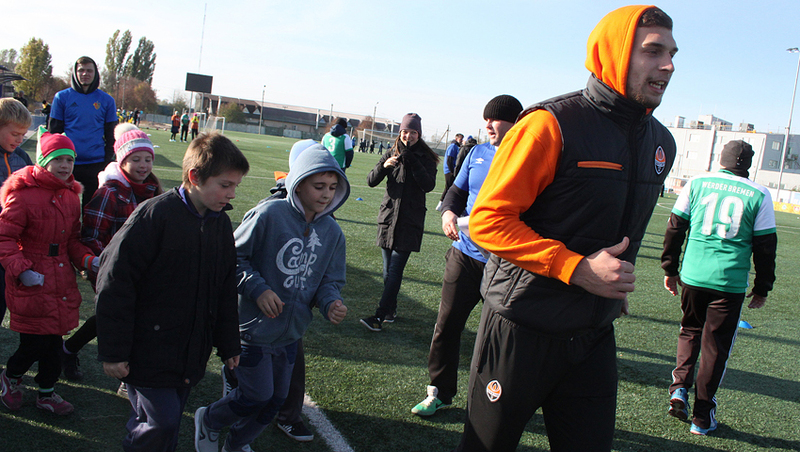 The aim of the joint project of FC Shakhtar, Football Club Social Alliance (FCSA) and UEFA Foundation for Children is training volunteers and promoting grassroots football in Ukraine. From this October on, the young coaches will be adopting the professional experience of the instructors of Shakhtar, Basel, Sporting Lisbon, Everton, as well as the experts of UEFA and UNICEF. - We successfully implement similar programmes around the world, in the countries affected by armed conflicts, - says the FCSA curator Willy Schmid, who has been the chief coach trainer at Basel for 10 years now, currently working with the Social Alliance. – We started in Israel and Palestine, then in Sudan, Kosovo, Sri Lanka, Indonesia and Colombia. This time, it’s Ukraine. Our objective is training as many young coaches as possible to be engaged in grassroots football development, so that every child can play and enjoy life. In the course of training, the seven instructors conducted both theory sessions in the conference room and practice sessions on the football field with the participation of children. 43 volunteer coaches studied various aspects of working with children, as well as developed a methodology for trainings. Over two days of practice, more than 130 children took part in it. - I really love football, but never worked with a real coach. I never thought it would be so interesting, - shares his emotions Dima Kordun, a grade 4 schoolchild at the Schaslyve UVK. - Today, they not only showed us exercises, but the coaches themselves played with us. Most of all, I liked the fun games and exercises, - Polina Vorobei agrees with her classmate. 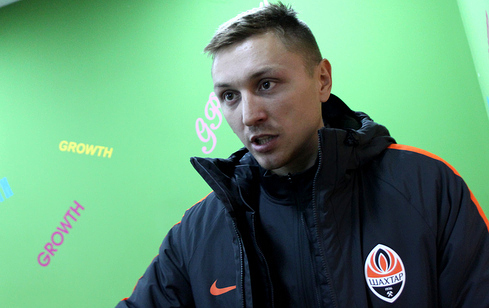 - For young professionals this programme presents an invaluable experience, - says the FC Shakhtar Academy coach Oleksandr Knyazev. 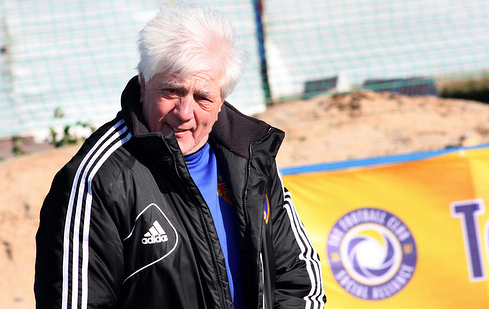 – The representatives of different football schools pass on their vision: British, German, Portuguese and Ukrainian. Most importantly, absolutely all the project participants are very interested in learning from them, genuinely willing to learn something new, to develop, to work with children and make them happy. Among the programme participants, there are 17 coaches of the club’s Come On, Let’s Play! project, which was launched back in 2012 and became popular with the boys and girls from different regions of Ukraine. - The main thing is to build a relationship of trust with kids. To make it fun and interesting to play football for them, - thinks the Come On, Let’s Play! coach in Donetsk Maksym Maksymenko. – That’s what they teach us to do. They explain how to build training sessions and diversify the work in a light and playful way. The volunteer coaches are to have two more training modules. The next one is planned in Kramatorsk in March, another one in May. Now, the project participants will return to Donetsk, Lviv and other cities, where they will be able to apply their knowledge in practice, introducing children to a healthy lifestyle and football.